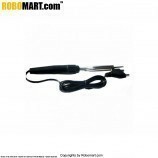 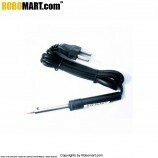 A 35Watt Soldering Iron is a hand tool used in soldering. 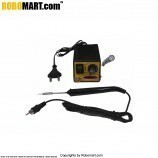 It supplies heat to melt the solder so that it can flow into the joint between two workpieces. 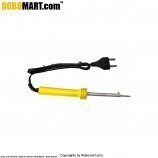 A soldering iron is composed of a heated metal tip and an insulated handle. 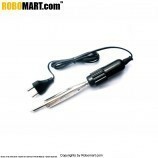 Heating is often achieved electrically, by passing an electric current (supplied through an electrical cord or battery cables) through a resistive heating element. 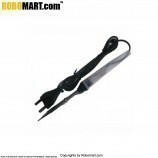 Its fast heating, high quality mica heating unit provides thermal stability for long life. 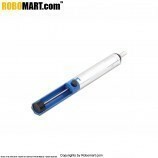 Anti-roll handle is heat- and inpact- resistant, with ribbed design for fingertip control. 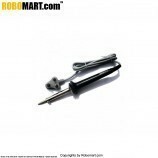 Two replaceable flat chisel tips for maximum heat flow. 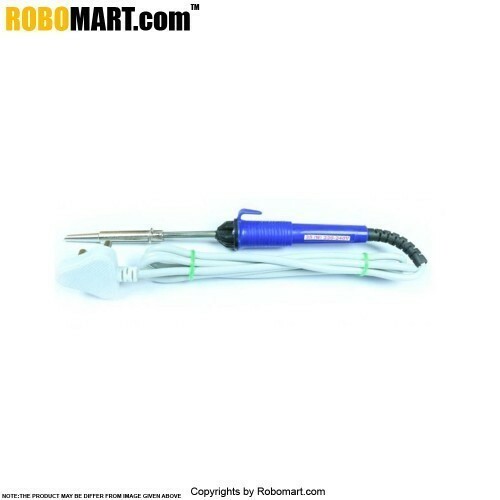 Use with acid core or silver solder for mechanical connections. 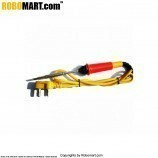 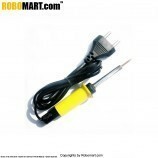 In Medium Quality 35 watt soldering iron, the temperature rising time is more .